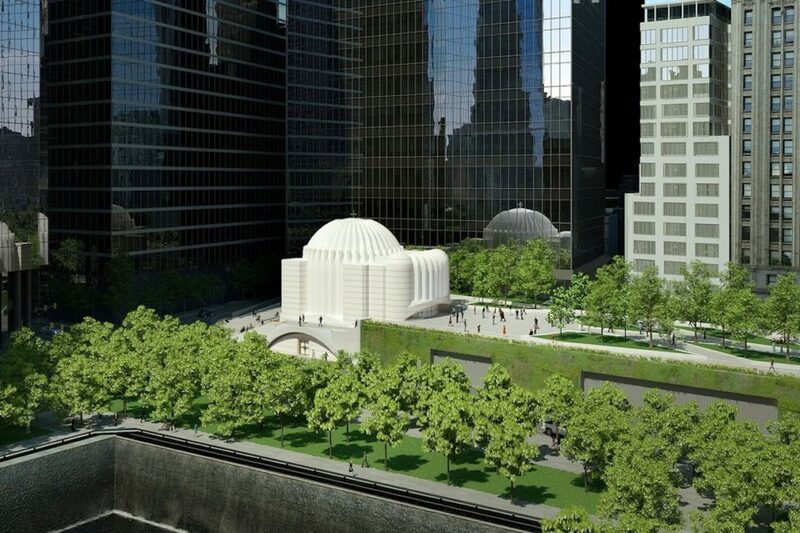 The Greek Orthodox Archdiocese of America has confirmed that construction at the Saint Nicholas Greek Orthodox Church and National Shrine at The World Trade Center in New York has stopped, confirming news reports by The Pappas Post that the project’s main contractor, Skanksa USA, withdrew from the site because of non-payment by the Archdiocese. In light of recent financial difficulties at the Greek Orthodox Archdiocese of America, and in order to make certain that all operations and funds are being correctly managed, this difficult yet necessary step has been taken,” according to a press release issued on Saturday, December 9, 2017. 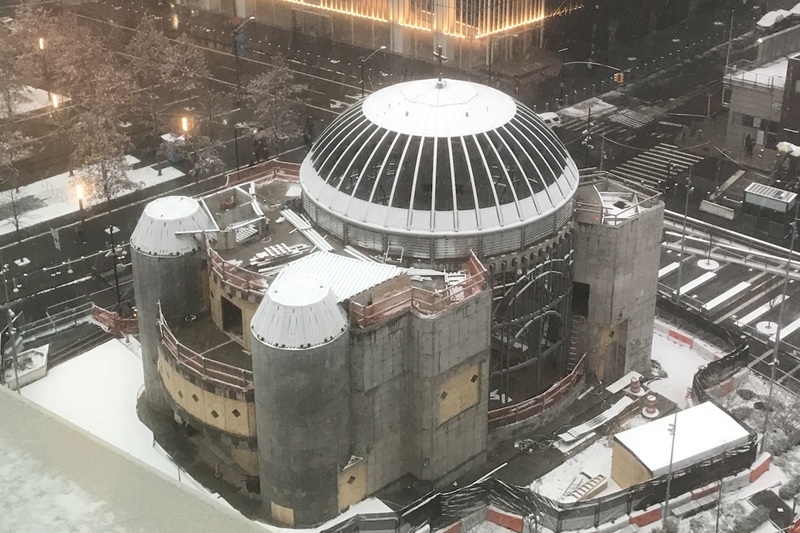 The St. Nicholas building project has been plagued with problems since news reports revealed that millions of dollars in donor money that was intended for the rebuilding project was used by Archdiocese officials for other purposes. According to the Archdiocese, PricewaterhouseCoopers LLP (PwC) and BakerHostetler LLP have been retained to conduct an independent investigation and these firms will report to an independent committee set up by the Archdiocese. The Archdiocese remains committed to the rebuilding of Saint Nicholas, according to the press release and will continue its fundraising efforts. According to a December 2016 newsletter published by the Archdiocese, the original fundraising goal was between $40 and $50 million to build the Church. Of that amount, $42,359,811 had been pledged from wealthy individuals, companies, foreign governments and churches, as well as millions from small donations from practically every Greek Orthodox Church in the Archdiocese. 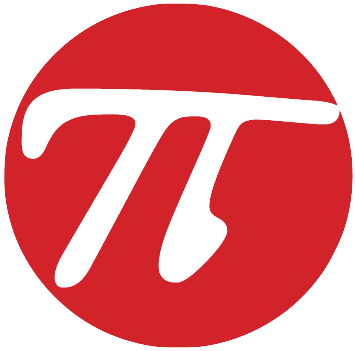 According to the same newsletter, more than $31 million of the pledged amount had already been raised. Left, St. Nicholas was founded after a handful of Greek families bought a tavern in the neighborhood and transformed it into a church. Center: By the 1980s, the World Trade Center had consumed pretty much most of the neighborhood but St. Nicholas remained. Right: One of the last known photos of St. Nicholas ever taken as smoke from the towers begins to consume the area. In 1919, five Greek families raised $25,000 to buy a tavern at 155 Cedar Street and transformed it into a church in the bustling immigrant neighborhood populated by large numbers of Greek, Lebanese and Syrian immigrants. Although many of its congregants moved to the suburbs, the parish continued to serve generations of Greek families even as the neighborhood grew into the World Trade Center. It also served week-day passers-by who sought solace from the hustle and bustle of life in New York City’s busiest neighborhood. Its quiet existence ended on 9/11 when the church was crushed by the fall of the south tower. 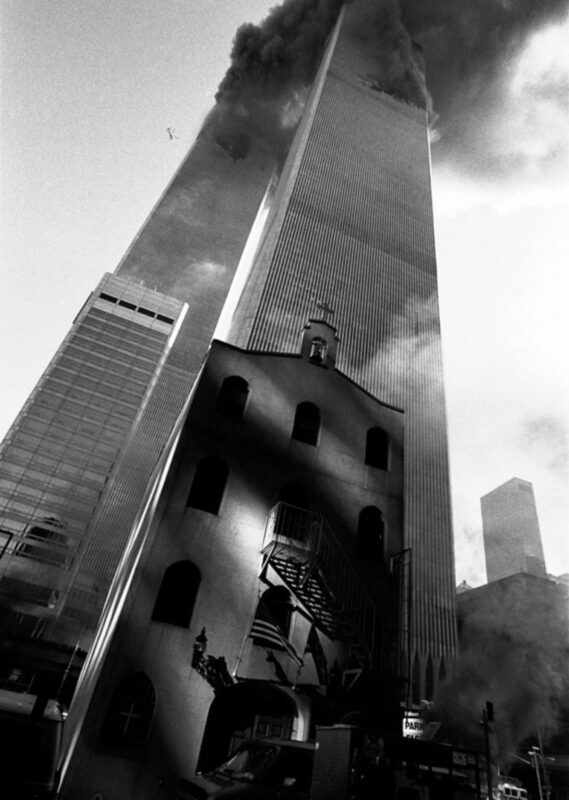 A photograph shot by a photographer with smoke looming from the tower and St. Nicholas sitting ominously in the forefront remains one of the most iconic photos ever taken on September 11th. 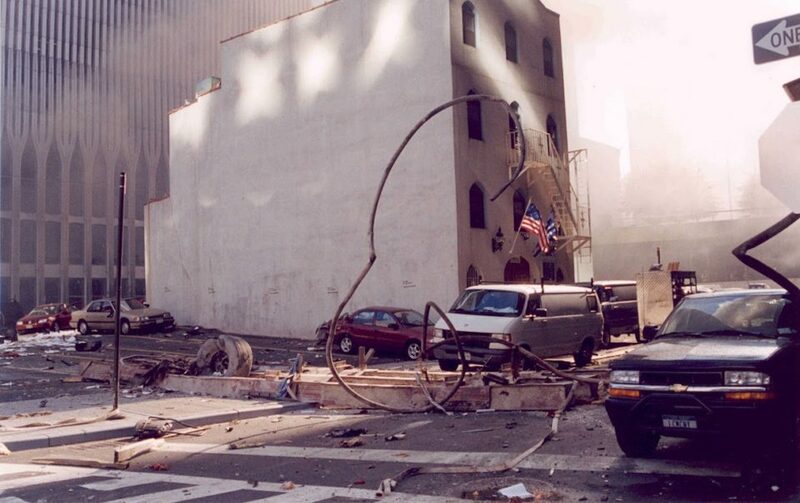 Other photographs were shot by people fleeing the site, including the one below which was taken immediately after United Airlines flight 175 hit the South Tower of the World Trade Center. This latest challenge is yet another hurdle that the tiny church– the only house of worship destroyed during the September 11, 2001 terrorist attacks– has faced. The rebuilding was delayed by a legal dispute between the Port Authority of New York and New Jersey and the Greek Orthodox Archdiocese of America over the original site. In 2011, the parties struck a deal in which the church agreed to exchange its land on Cedar Street for the rights to another parcel on Liberty Street, just south of the National Sept. 11 Memorial Museum. The famous Spanish architect Santiago Calatrava was commissioned to design the church and a massive fundraising campaign was undertaken by the Archdiocese. Read the full press release from the Greek Orthodox Archdiocese of America here.